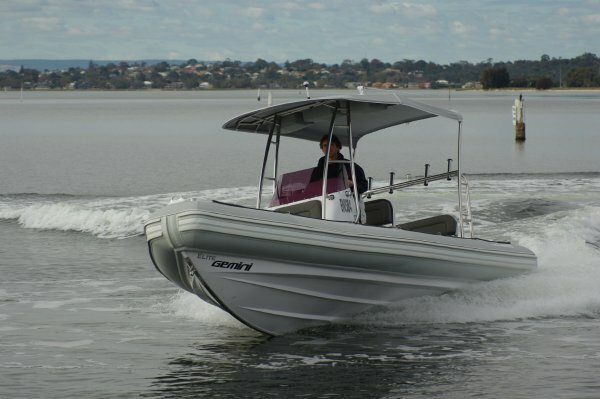 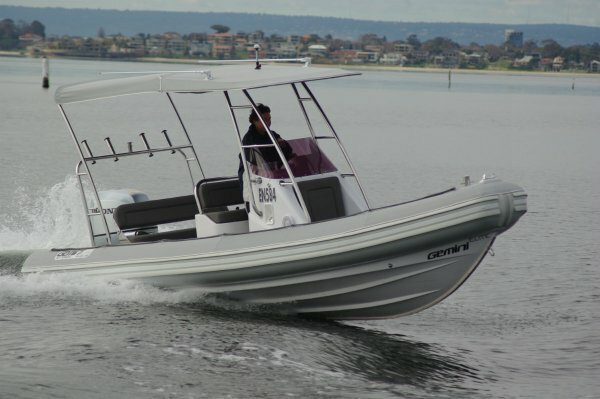 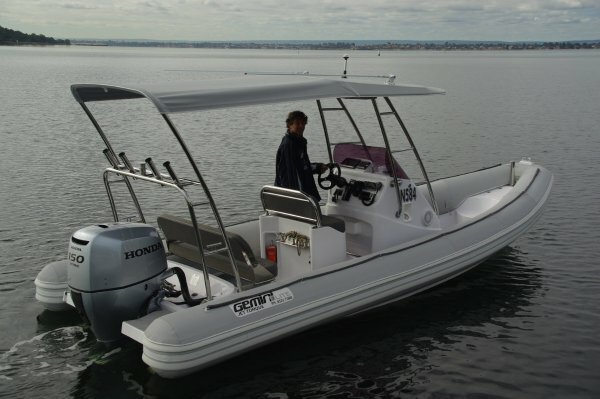 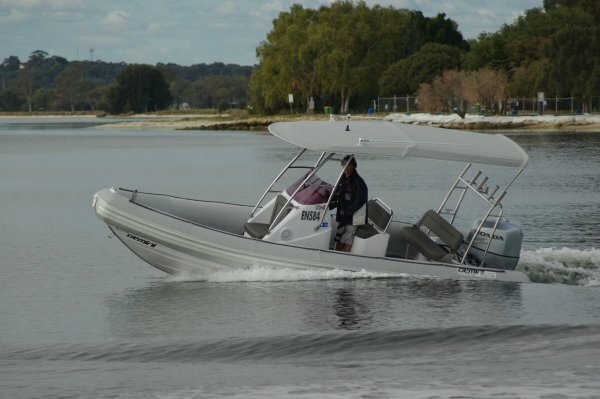 At 6.5m the Gemini 650 rigid inflatable (RIB)fits the size rule for a Rottnest tender, and the review boat’s equipment level suggested that was where it was destined. 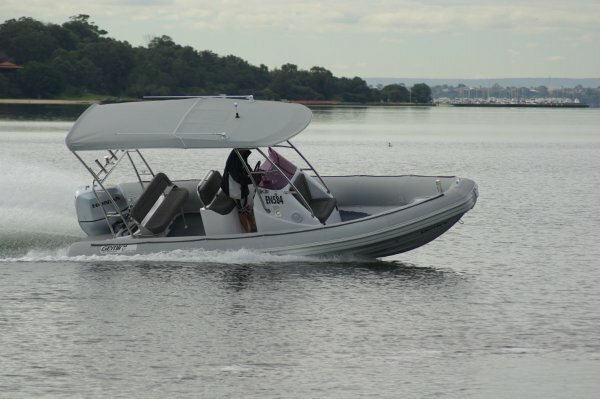 Genuine seats for half a dozen – plus untold numbers of casual ones along the buoyancy tubes – and set up for diving, fishing and even skiing; it’s tailor made. 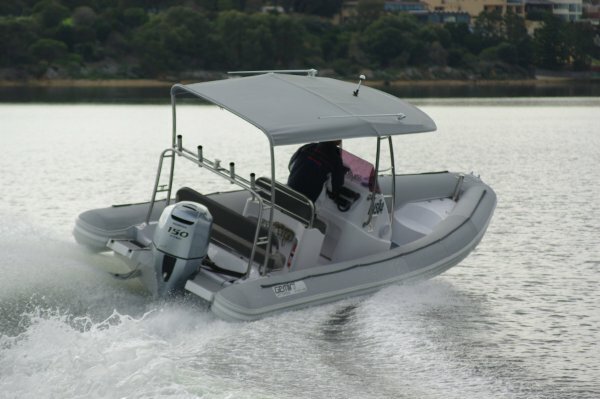 Although the hull originates in South Africa, an ancestry that practically guarantees rough water ability, Rotto friendliness is purely local; the upper works and the hardware are local components. 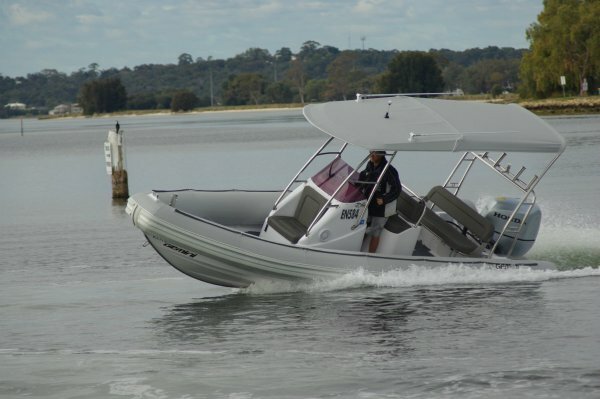 The size of the awning gives a clue to this: possibly nowhere else in the world is quite as keen on s hade afloat as Western Australia, and everyone in an official seat gets a share of this awning.